ParkCloud is very happy to announce a new collaboration with Portuguese car park operator, Placegar. Offering 11 car parks with 10,500 spaces, safety, comfort and mobility options for customers are provided through the use of sophisticated equipment and technology. The car parks covered by the partnership are well-located in Lisbon. Providing quick access to events and attractions available in the capital, several are also conveniently located nearby Metro stations. Facilities such as the one in Avenida Da Liberdade, a famous avenue in central Lisbon, offer customers the opportunity to park just minutes from luxury shops. Known by residents as simply Avenida, it's famous in Portugal for the lavish brands, including Chanel, Versace and Balmain, on winding lanes decorated with beautiful gardens. 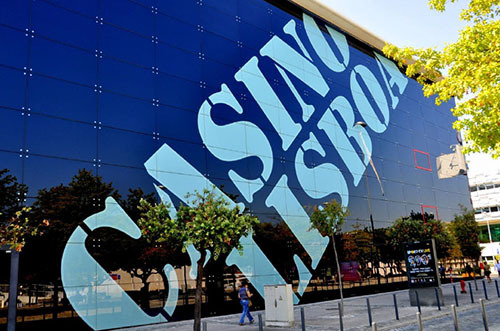 Placegar also offer car parks conveniently located at the Campus of Justice, the Hospital Lusiads (HPP Lisbon), the Casino Lisboa, the Champalimaud Foundation, the Marina and Dock Park of Nations. Outside Portugal’s first city, Placegar offer several car parks in Porto in the north. For example, parking at the Hospital Lusiads Porto – Boavista, a covered car park located in the main building of the hospital, and close by the Porto metro network. In the residential area of Carnaxide, Placegar have an open-air car park located near the headquarters of several national and foreign companies. Surrounded by gardens and green spaces, the car park also has a car wash on site.